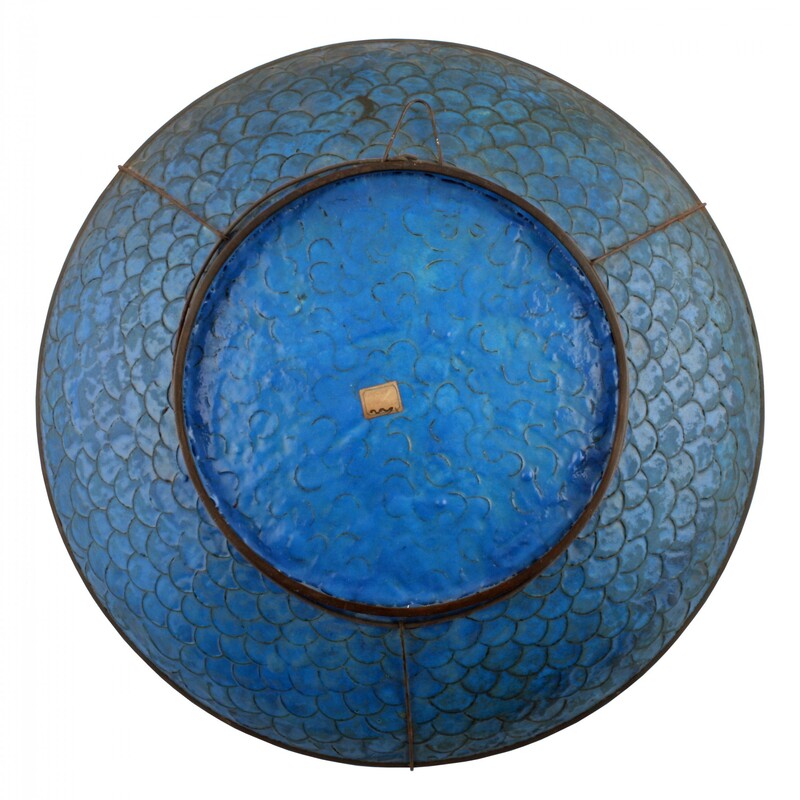 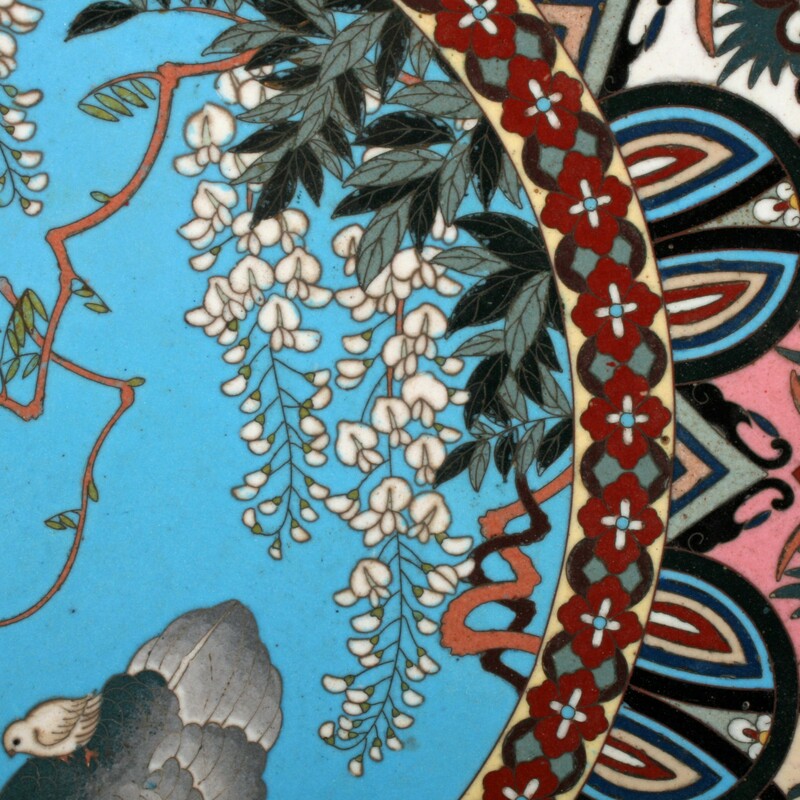 A 19th century Meiji period (1868-1912) Japanese brass and cloisonné enamel wall plaque. 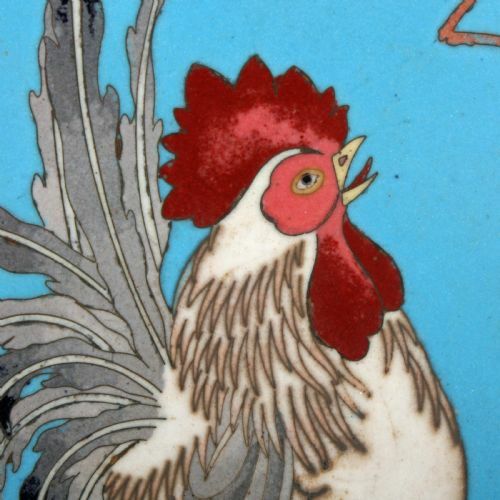 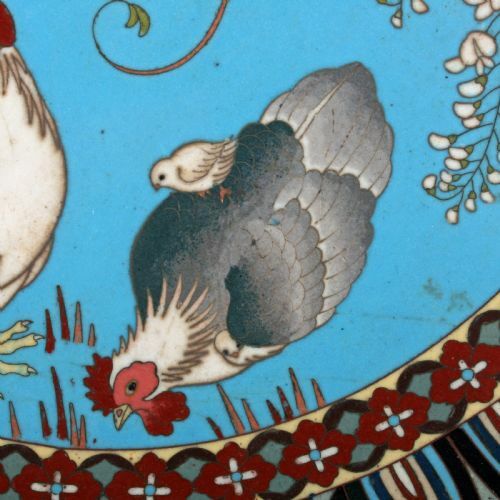 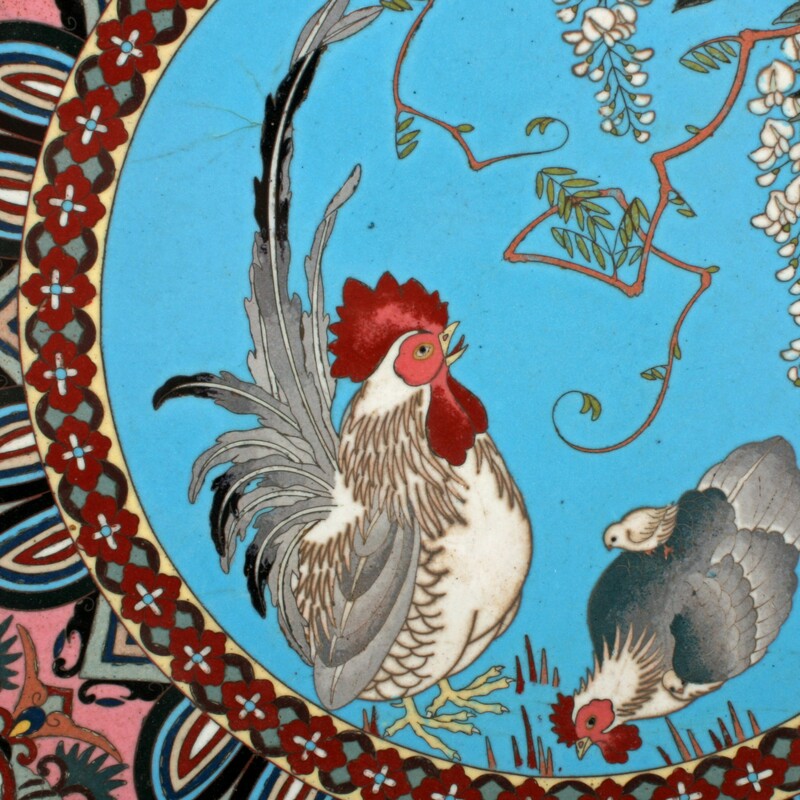 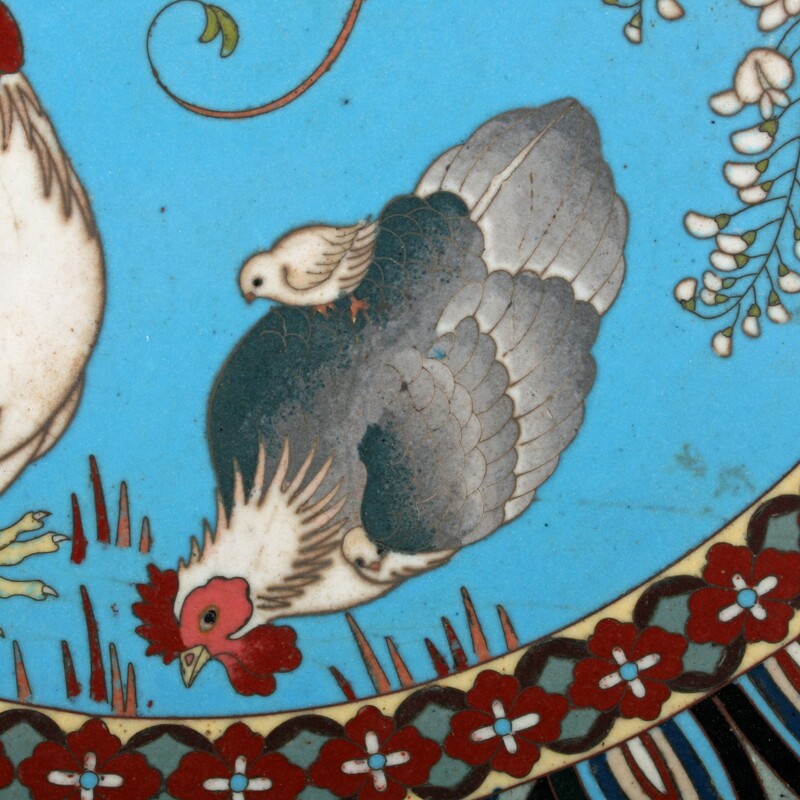 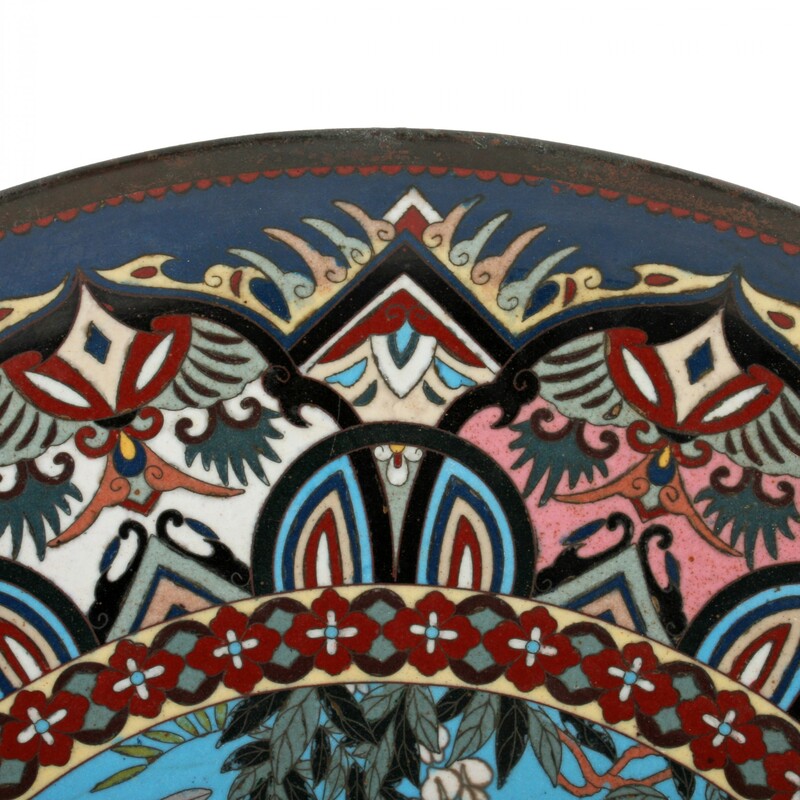 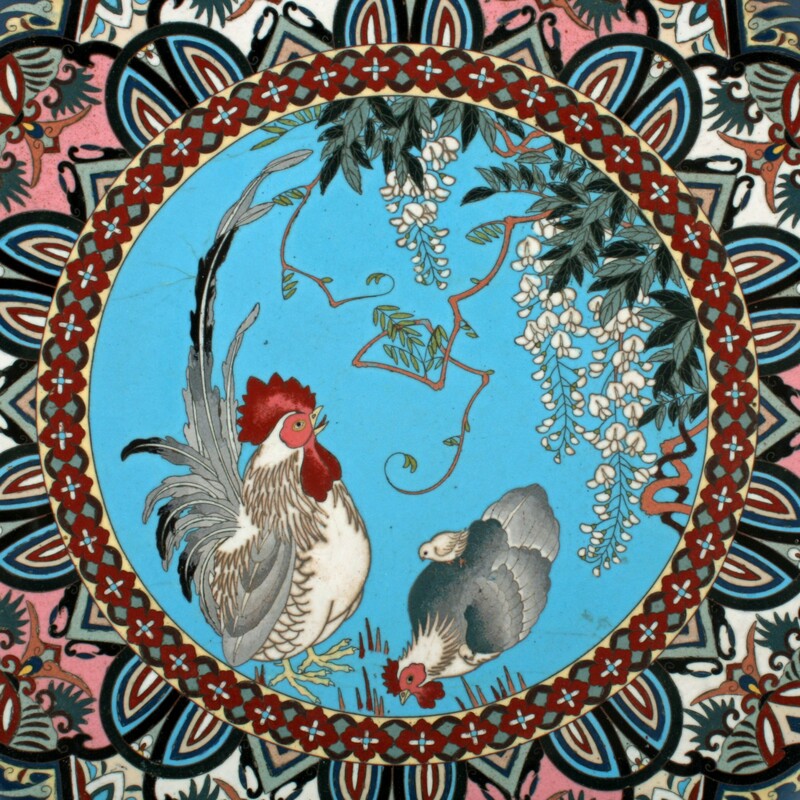 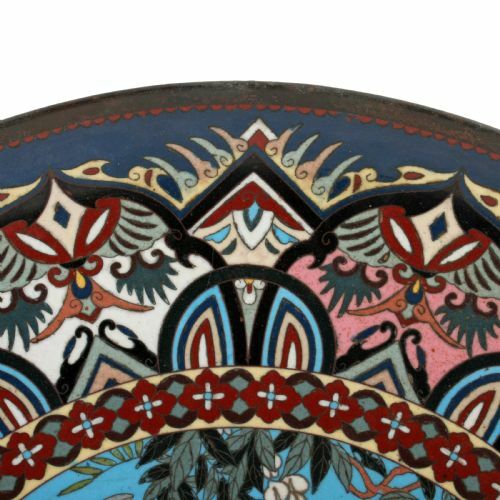 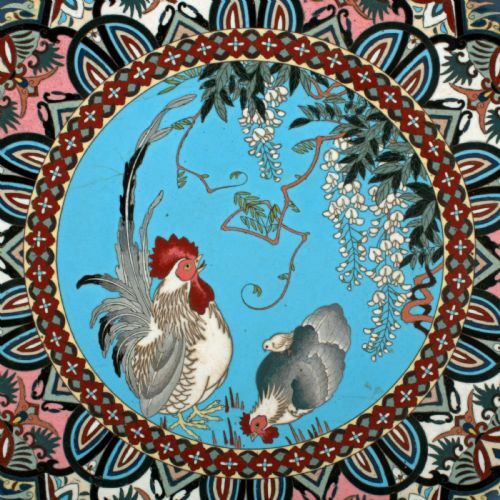 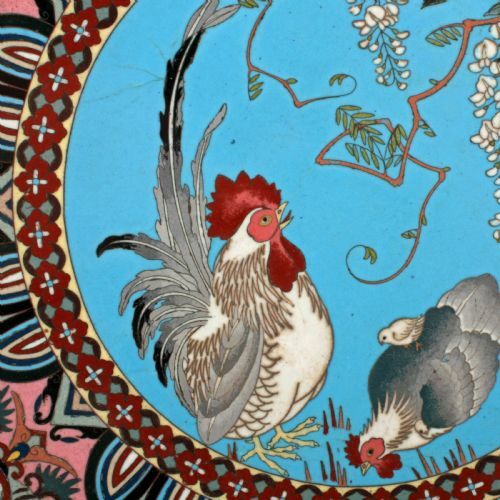 The plaque has a central scene of a cockerel, a hen and a chick surrounded by bands of decorative and colourful cloisonné enamel. 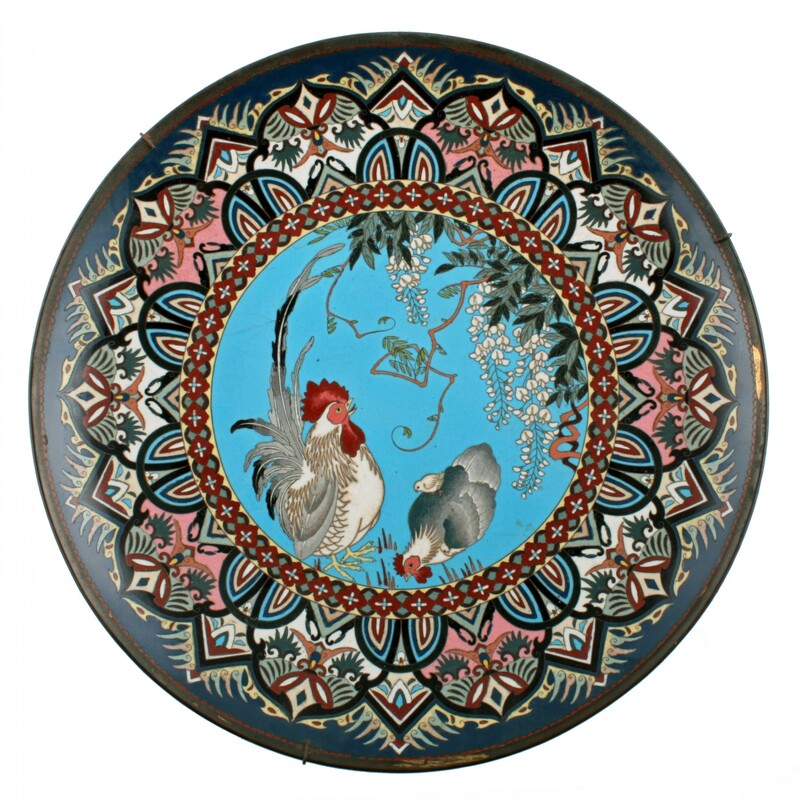 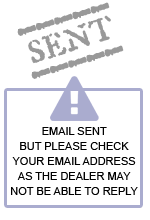 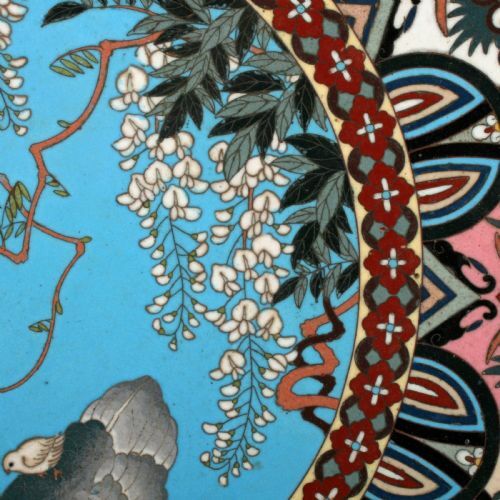 The Japanese Cloisonné Enamel Plaque has been added to your saved items.